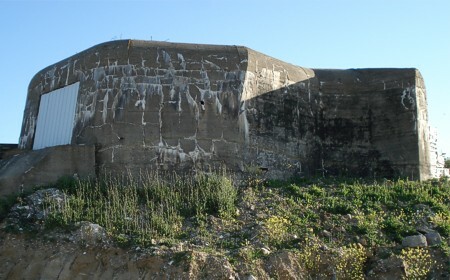 Both smaller casemates lie in the middle of the hill. 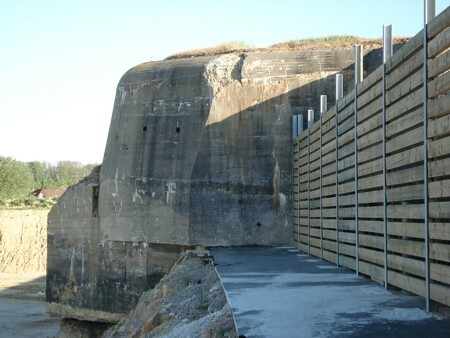 Both have an extra supporting foundation which also could be part of the shell pit. 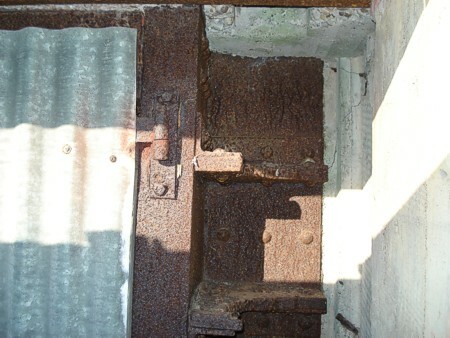 The cutt off hinges prove that the heavy doors were once in place. 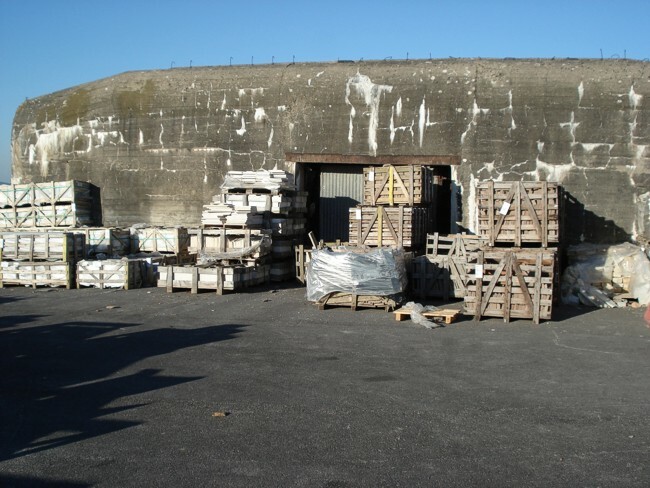 The backside of this still useful casemate.